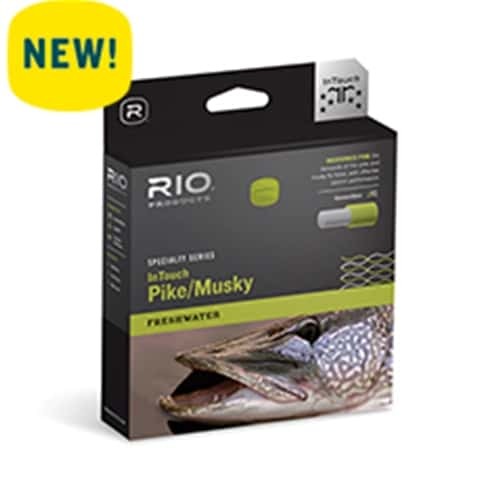 RIO’s InTouch Pike/Musky line has been specifically designed to meet the requirements of the modern pike and musky fly fisher. It features a short head and a powerful front taper that has no problem casting the biggest of streamers. The line is heavier than the industry standard to load powerful rods with ease, and is built with a supple, coldwater coating that features RIO’s XS and AgentX technologies for the very best in performance. A range of densities are available to cover a multitude of conditions. Built with ultra-low stretch ConnectCore Technology for the maximum in sensitivity, control and performance.